We have a little time today to put out a rare Wednesday post on a short board. We’ll keep it brief with just the one pick and a lean on the other games. 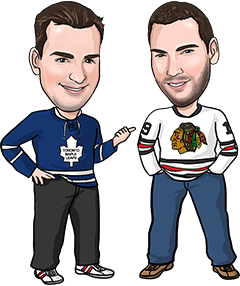 Last night we went 2-0 which included a nice +134 payoff on the Maple Leafs first period moneyline play. We’re happy to get that one as the Leafs went on to lose the game in regulation. In the other games, Columbus and Florida both won on the road to stay red-hot and the Stars continue to struggle after falling to the Caps. So we’re very interested in backing the Penguins tonight, but with the struggling Canadiens in town, the prices are pretty steep. Pittsburgh is favoured north of -230 on the moneyline, and even the regulation line is pricey, forcing you to lay -151 on the Pens to get the job done in the first 60 minutes. Even though we expect the Pens to do just that, there’s not much value at that price. Fortunately, there’s another angle we can attack to get a better number here: daring the Canadiens to score more than 2 goals. It’s something that Montreal has done just twice in its last 7 games, and both of those times were when the Habs were at home. Montreal has struggled to score goals on the road all season (averaging 2.17 per game) and that’s especially been true lately, with the Habs scoring just 4 goals in their last 4 road games combined. When Pittsburgh suffers a bad loss, it’s the Pens’ defense – not always their offense – that steps up with a big effort in their next game. When Pittsburgh lost 10-1 on the second night of the season, the Pens blanked Nashville in their next game. After losing 7-1 at Tampa Bay in mid-October, Pittsburgh beat Edmonton 2-1 its next time out. After a 7-1 loss in Winnipeg, Pittsburgh won 3-2 in Edmonton. After an 8-4 loss in Boston earlier this month, the Pens beat the Islanders 3-2. With Pittsburgh again likely to focus on its own end of the rink and the Canadiens struggling to score goals on the road (or anywhere, for that matter), -129 odds on the Canadiens Team Total Under 2.5 actually looks like a pretty good deal.